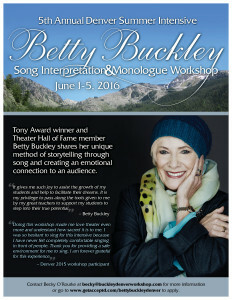 Contact Becky O’Rourke becky@buckleydenverworkshop.com or click here to apply. To apply with your picture and resume or for more information please email info@tschreiber.org. 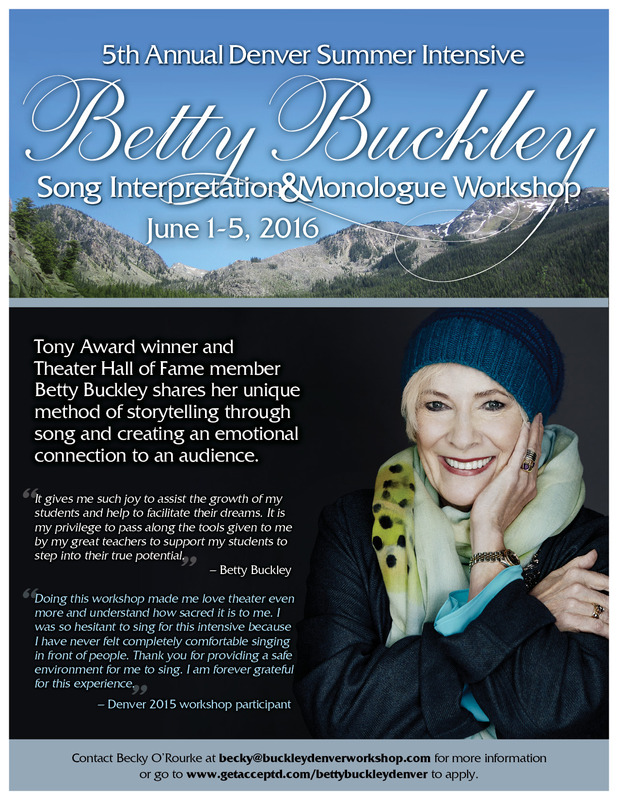 Please put “Betty Buckley Workshop” in the subject line.